Dailybuzz.ch: A NUN SHOCKED THE JUDGES ON ITALY'S VERSION OF THE VOICE!!! A NUN SHOCKED THE JUDGES ON ITALY'S VERSION OF THE VOICE!!! 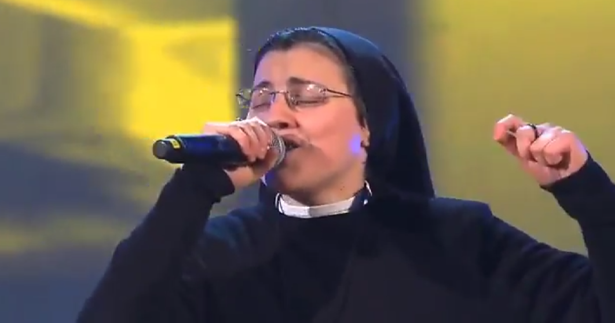 A nun shocked the judges on Italy's version of The Voice when she began singing Alicia Keys - No One. Sister Critina Scuccia appeared on stage in a traditional habit, wearing a large cross. The camera panned over to show three of her fellow nuns watching her performance. The judges, who listen to the performance with their backs to the performer, swiveled around once the heard her voice, with priceless expressions on their faces.